If you are an electric member of The Energy Cooperative experiencing a power outage, here are ways you can make sure we know you are still without power. Verify your outage through the SmartHub app. View our outage map to view current outages. Safety of the public as well as those working on our lines is our top priority. The first step to accomplishing this goal is to locate downed power lines and make sure electricity is no longer flowing through the wires. Always assume downed power lines are energized and dangerous. Consider any object touching lines energized as well. Please report downed power lines to The Energy Cooperative at 1-888-535-5732 and local emergency authorities. When the electricity goes out, many of us expect power to be restored within a few hours. But when a major storm causes widespread damage, longer outages may result.  The Energy Cooperative’s Electric Operations and line crews work long, hard hours to restore service safely to the greatest number of members in the shortest time possible. High-voltage transmission lines must be restored first because they supply power from the generating plant to substations. Substations step down the power for residential and commercial use. Damage at a substation must be repaired next. Three-phase lines must be repaired next. Three-phase lines carry the power from the substation to businesses, industries and residences. These lines get the most people back on and are necessary to carry electric energy to the remainder of the system. Single-phase lines are restored next. Single-phase lines distribute electricity from the substations or three-phase lines to homes and businesses. Lastly, service lines are restored. Service lines supply electricity to individual homes.